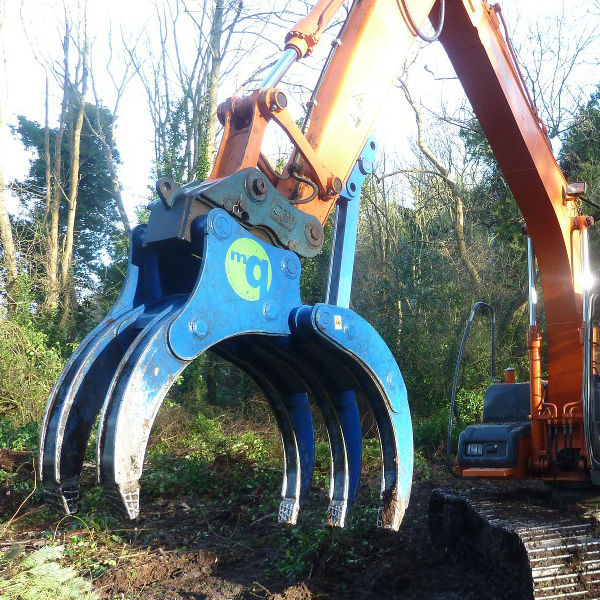 The McQuaid range of Mechanical Grapples is the ideal excavator attachment for land clearance, skip sorting and general forestry work. 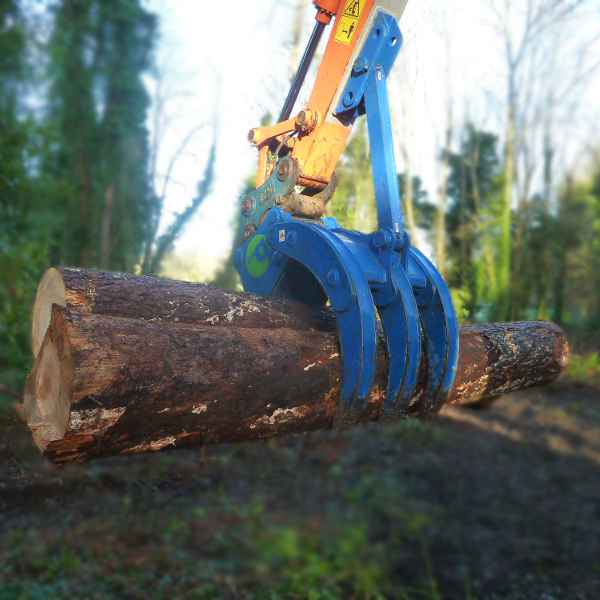 The mechanical grapple is the premier grapple of choice in the demolition and forestry industries due to its robust design and ease of use. 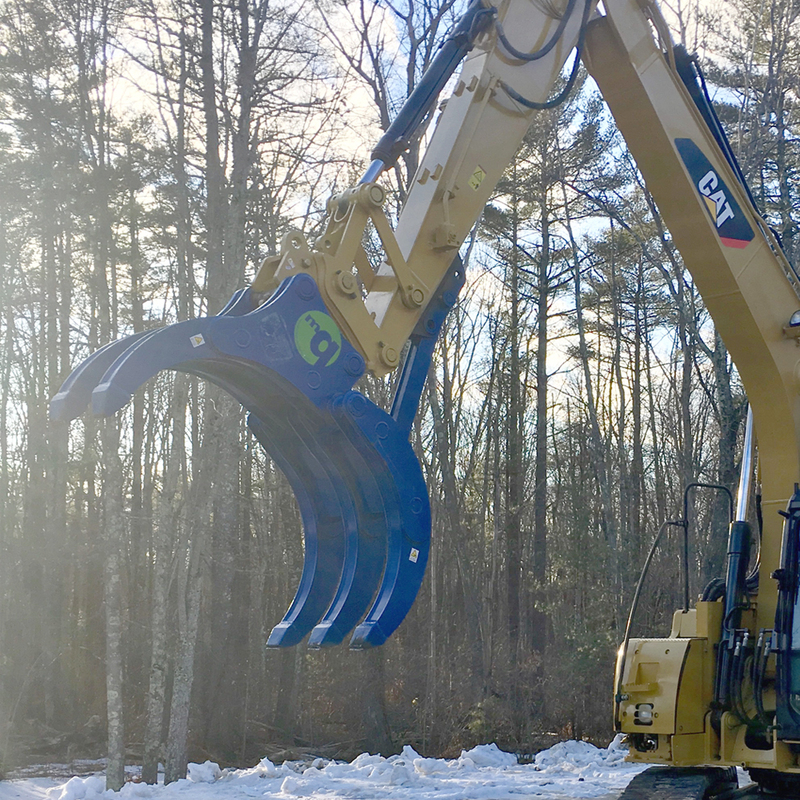 As our grapples are designed for use directly in place of the machines own bucket, no additional circuitry or hydraulics are required for the grapple as it uses the excavator link arm and cylinder to create movement. 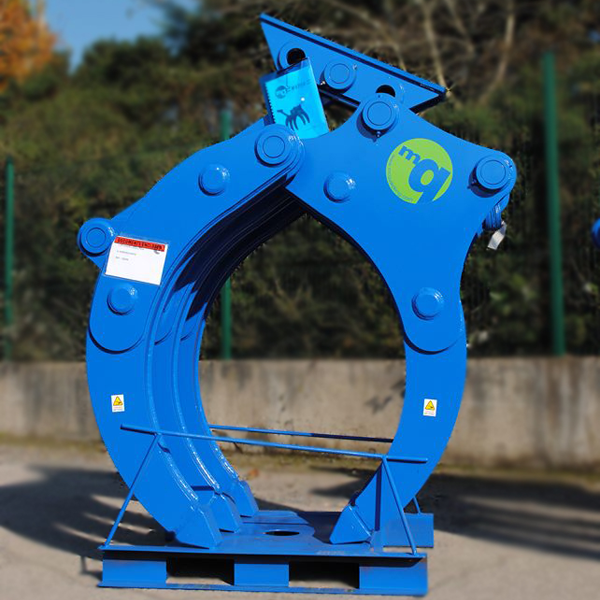 As the bucket cylinder is opened or closed, the jaws are opened or closed to grab carry or load. Safety is assured with three fingers facing the excavator cabin and the two interlocking fingers facing away from the cab, meaning any logs or other materials are broken away from the operator. The five finger design allows for better handling of materials and more flexibility. The interlocked webbed design also provides more strength through the grapple construction. 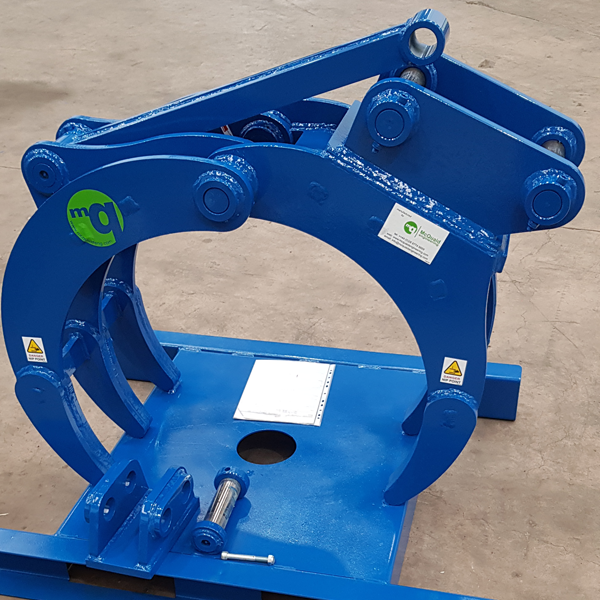 Built to exact tolerances from premium materials, the McQuaid range of mechanical grapples has an excellent strength to weight ratio. The robust, high strength steel reduces maintenance costs and increases lateral strength and longevity. The McQuaid reputation is built on offering only the strongest, most durable and safest products. 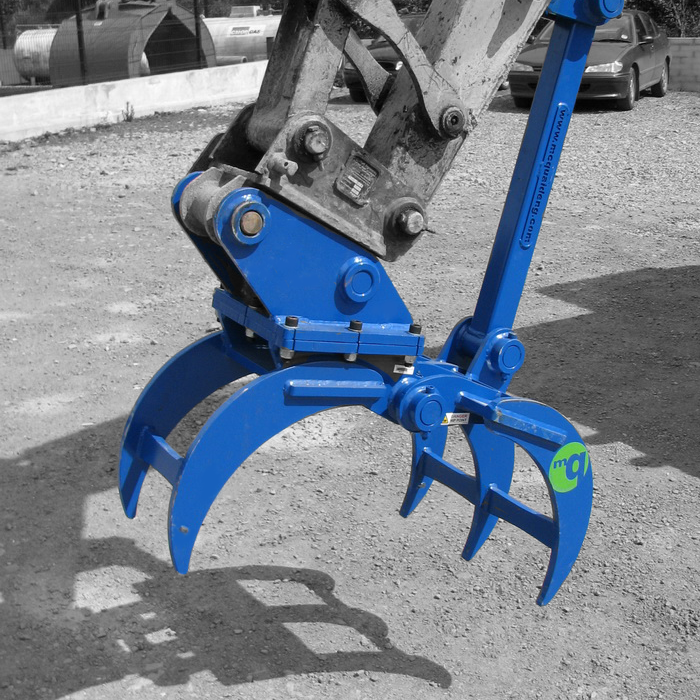 Designed and manufactured to our exacting standards, they are made to work steadfastly in the harshest of environments.